Canterbury City Council have unveiled a new initiative for cyclists in Canterbury. Members of the public will now be able to store their bicycles in a secure cycle compound in Wincheap Park and Ride car park. The secure compound has keycard entry and is covered by 24/7 CCTV cameras. There’s even a bicycle repair kit in the compound for emergency repairs. Parking is free for those who use their bicycle to commute around Canterbury. The scheme is available to any member of the public, all you need to pay is a £15 deposit for the keycard. 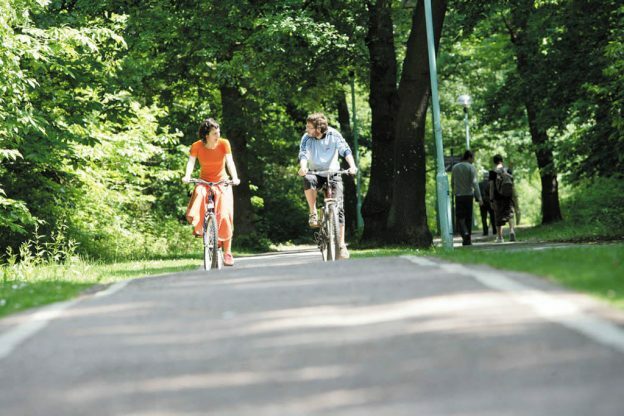 Using Park and Pedal gives easy access to the scenic bike route into the City Centre, which takes just six minutes. Or commute to campus in just 10 minutes! This entry was posted in News and tagged bicycle, bus travel, Canterbury, Canterbury campus, cycle shelter, cycling, sustainability, transport, travel discounts on July 5, 2018 by cef20.